Melbourne is home to oodles of regional Chinese noodle dishes. Let it be hereby acknowledged that chow mein is dead. A gummy time stamp of early Chinese immigration, these days China's stodgiest export is survived only by the very dankest bain maries of the very dankest food courts. RIP chow mein. In 2019, what lies in Melbourne's ever-specialising network of Chinese restaurants is something far more thrilling, if under-publicised in English-language media: the full complement of the world's most comprehensive noodle programme; a delicious byproduct of Melbourne's new-look Chinese diaspora. From the hand-pulled beef lamian of Lanzhou to the puckering sour spice of Guizhou's rice noodle mifen, Chongqing's umami-spectacular wanza mian and everything in between, Melbourne today does the canon as well as anywhere outside the Middle Kingdom. Untangle the Chinese noodlesphere with our guide to eating regional Chinese noodles in Melbourne. Chef Tan claims to be the only purveyor of regan mian (hot and dry noodles) in Melbourne, and judging by the 7pm feeding frenzy in his eponymous white-walled, 25-seater in Burwood, he's probably right. Taken more so at breakfast in its hometown of Wuhan, China's new rock'n'roll capital, regan mian's thin wheat noodles are slickened by a viscous sesame paste and dotted with carrot, spring onions and pickled green beans, the last of which go some way to cutting through the glorious heft of the mouth-coating paste. At $8.50 per bowl ($11.50 with beef – and plenty of it), the Deakin University-adjacent spot does a roaring trade with nearby students, but it's also wholly worthy of a drive. Just make sure to visit on a weekend when Chef Tan puts on another of Wuhan's beloved specialties: doupi – a savoury, glutinous rice-driven flapjack of sorts. Lanzhou lamian joints are one of the most omnipresent street-level sights in modern China, outnumbering McDonald's by roughly 40-to-one. A super cheap in-and-out option born in the capital of the western province of Gansu, Lanzhou, clumped dough is beaten and pulled to angel hair (girthier options are also available) and served in a rich beef broth under thin sheets of brisket, radish, coriander and spring onions. While lamian of varying quality has been available in Melbourne for a while, the CBD's Lanzhou Beef Noodle has stayed head and shoulders clear of the competition since opening in 2017. Ornate blue and white bowls, bar seating, a playful Mandopop soundtrack and a full house of hungry youths furnish the Elizabeth Street joint, and while $12.80 per bowl is a good fives times dearer than its native price point, the lamian is undeniable – and highly addictive. Hailing from the walled city of Xi'an, biangbiang mian are anything but subtle. Box Hill's aptly named Shaanxi-Style Restaurant does an exemplary youpoche mian: a popular type of biangbiang mian, whose noodles are hand-pulled to belt width and served in sharp sauce topped with garlic, Chinese greens, chilli, spices and coriander. Portions here, and at most Shaanxi joints for that matter, would see a bear through a winter's hibernation, so a generous glug of black vinegar from the table is always a good idea to cut through the brutishness of one of China's most stick-to-your-ribs feeds. Sketched on the back of the 20 renminbi note, the southern city of Guilin is a hugely popular getaway for domestic Chinese travellers. Divine mountain scenery and favourable year-round weather aside, Guilin's tertiary drawcard is its canon of comparatively lighter rice noodle dishes – mifen. On the fringe of the CBD, Carlton's not-so-humbly named "The Best Guilin Rice Noodles" peddles an extensive catalogue of round noodle mifen, served dry, fried or in soup. Hard to go wrong in this brightly coloured nook for 20-odd, but the speciality House Guilin Rice Noodle, featuring crispy pork belly, poached beef, toothsome shards of pig stomach, pickled green beans, and boiled peanuts gives a brilliantly balanced account of the region it reps. When Dainty Sichuan, one of the modern heavyweights of Chinese food in Melbourne opened a subterranean restaurant dedicated to one of the modern heavyweights of Chinese noodles, something seismic was bound to happen. From the not-your-standard food court of CBD chic-mall Emporium, the chuan cai empire's noodle subsidiary, which is tricked out with red lamps and wooden bench seating, knocks out Melbourne's most moreish bowls of central China's hit dish wanza mian (dry mixed noodles with minced pork and peas) – arguably the best of the xiaomian gamut. Spicy pork mince, crushed peanuts, supple cowpeas and delicate rings of spring onion top a good fist's worth of wheat noodles in a red chilli oil that hums with Sichuan peppercorns. Umami mania. The gulf that separates a good Chongqing noodle from a not-so is no more pronounced than in the case of the wanza mian. Thankfully Dainty Sichuan's rendition is world-class. Serious stuff going down aside, Xinjiang Uyghur Autonomous Region (East Turkestan) spruiks a cuisine completely unto its own, bearing more resemblance to the food of central Asian neighbours Tajikistan, Kyrgyzstan and co. with which it shares its western border. While not strictly a noodle dish, chong texse toxu qorumisi – dapanji in Mandarin and literally big plate chicken in English – is one of the region's greatest culinary triumphs: a bed of noodles not dissimilar to biangbiang mian provides a starchy support structure for a stew of chicken, capsicum and potato, whose rich gravy, flavoured with anise, ginger and garlic, trickles down through the noodles and into your dreams. Quiet and understated design-wise, Oakleigh's Uyghur Cuisine does a thumpingly good big plate chicken that will comfortably feed a few. Best visited on the weekend for more atmosphere. An ancient scholar named Yang was cramming for the imperial entrance exam on a serene island. His wife used to bring him lunch, crossing the bridge to reach him on the island, but each day the noodles went soft in the broth, and the broth all tepid and sad. Then one day she thought, probably, "I know, I'll fortify the thin chicken broth with some oil, pop it in an earthen pot and keep the noodles and accompaniments separate until I cross the bridge and arrive at the island, and add it all together then. That way it will be yum." Colourful Yunnan in Carlton honours that ancient ingenuity with a mammoth interpretation, featuring a rag-tag plate of raw quail egg, white fish, Xuanwei ham, pork, tofu, bamboo shoots and more-than-enough rice noodles that are slid into the chicken broth – egg first – at the diner's discretion. Sichuan's flagship noodles are arguably the most fuss-free of the lot. A relatively uncomplicated cousin of Chongqing's xiaomian, it's exactly their lack of ceremony that drives their appeal. At Chinatown alleyway mainstay Sichuan House, dandan mian are served at lunchtime only, with the nighttime menu giving way to the province's more spotlit offerings. Here, a combination of chilli oil and sesame paste form an opaque orange demi-soup – a careful balancing act with neither element overimposing. Suan cai (pickled chinese cabbage), ground pork, chilli, garlic, sesame seeds, sugar and ginger form a salty top layer garnish to be stirred through a thatch of thin wheat noodles underneath. 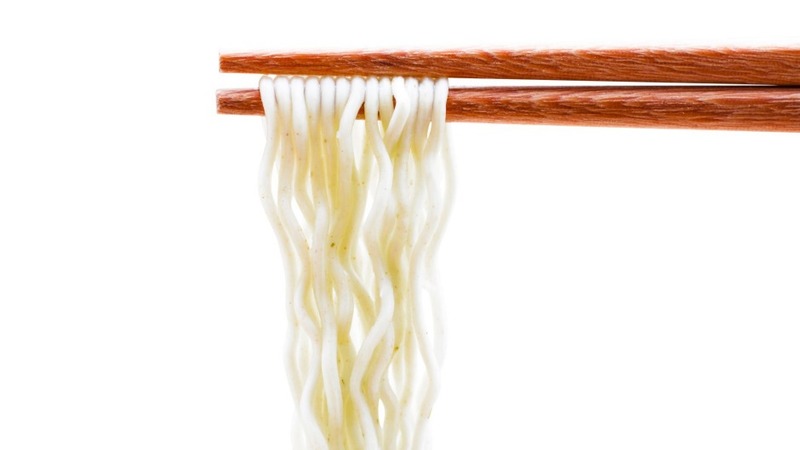 Their humble nature means they'll likely never medal in a noodle championship, but are a great daytime option whose simplicity makes them hard to tire of.